Iffley Island, also sometimes referred to as Swan Island, is a Site of Special Scientific Interest (SSSI) owned by the Oxford Preservation Trust and managed by the Berkshire, Buckinghamshire and Oxfordshire Wildlife Trust (BBOWT) to preserve its population of snake's head fritillaries. It is a small triangular flood meadow located on the River Thames near Donnington Bridge in Oxford. Our work here mainly involves cutting back grasses in the summer and the autumn to create favourable conditions for the fritillaries to flower in the spring. We also sometimes carry out other maintenance work such as pollarding trees and removing driftwood from the floodplain. Iffley Island is a small triangular peninsula jutting out into the River Thames near Donnington Bridge in Oxford. It is one of a series of alluvial flood meadows that form the Iffley Meadows Nature Reserve. Most of the site lies on clay soils enriched by flood deposits every year. Iffley Meadows is a fine example of a site that has escaped the damage caused by agricultural improvements. It has retained a rich grassland flora typical of ancient meadows. 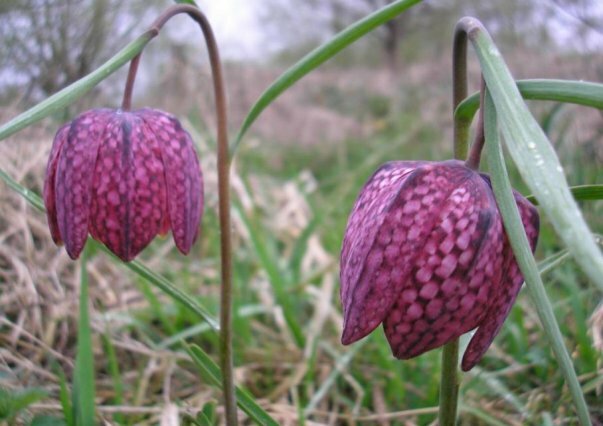 The meadows are particularly notable for their snake�s head fritillaries (Fritillaria meleagris), the largest remaining population in the Middle Thames. Many species indicative of damp meadows also grow here, such as tufted hair-grass, meadow foxtail and Yorkshire fog to name a few. Typical of the damp conditions, fungi are often seen on fallen trees at the site. Species of butterflies, dragonflies, frogs and even deer have been seen at the site by keen OCV members whilst on a task. Traditional management of Iffley Island is essential to preserve its conservation value. Each year, the vegetation needs to be cut back to maintain the species diversity of the meadow. If this is not done, the flora becomes dominated by tall grasses which suppress the smaller, less vigorous plant species, particularly the snake�s head fritillaries. Iffley Island was not managed actively in recent years, with a resulting drop in the number of fritillaries recorded. Natural England even classified this part of the SSSI as �unfavourable declining� in its 2003 assessment of the site. 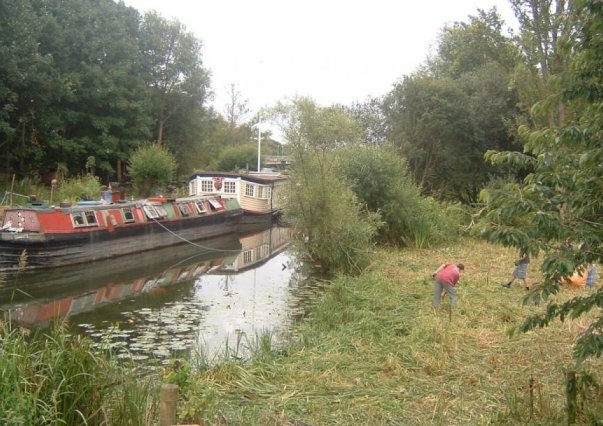 In 2008, OCV worked two Sundays at Iffley Island and we hope that our contribution will help to bring back more diversity to the site in the long term. If coming from the West across Donnington Bridge, take the first left after you have crossed the river. There is a small car park on the left shortly after the Sea Scouts' hut and car park. Alternatively the Redbridge Park and Ride is only a short walk from the site. Iffley Island is easily accessible from Meadow Lane: turn towards the Sea Scouts� hut, walk through the field and left towards the meadow.